I’m still recovering from the past Saturday’s Baltimore Marathon … which was AWESOME!! 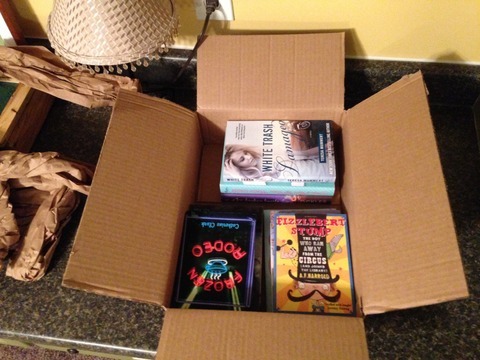 … so today’s post is going to be a quick and easy one about my recent unboxing from Book Outlet! 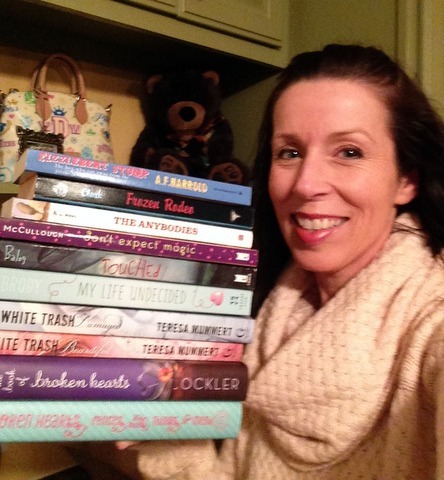 I just love watching BookTubers’ unboxing videos on YouTube. They remind me of my good ole’ Book Days that I talked about in this post, when my mother worked at Random House and employees were allowed to take home remaindered books about once a month. You could always tell it was Book Day from the way she would blare the horn all the way down our driveway from start to finish … and we had one long, long driveway! With these great memories in mind, I decided to create my own Book Day with a shopping spree on Book Outlet. Hooray, my own Book Day! 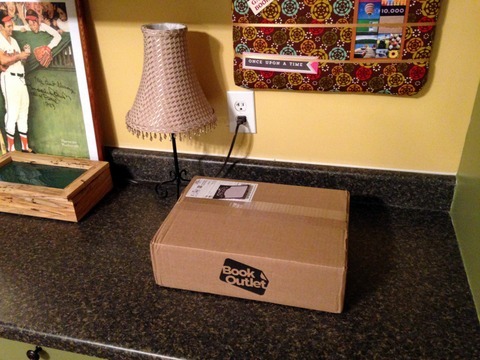 I imagined Mom blaring on her horn when this arrived! 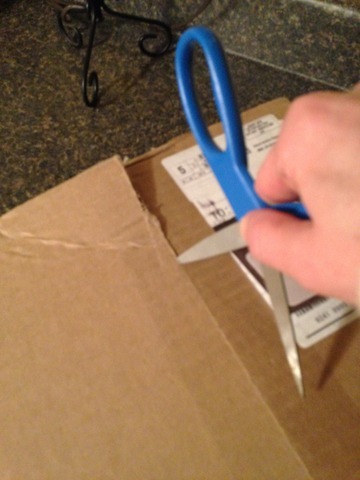 You know you’re a book nerd when cutting open a box makes you extremely joyous. 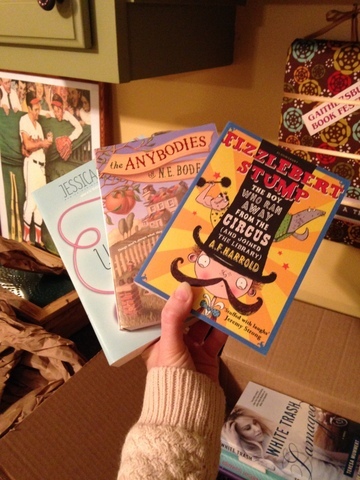 Fizzlebert Stump: The Boy Who Ran Away From The Circus by A.F. Harold – I just fell in love with the cover and the description sounds really fun. I mean, the main character is named Fizzlebert! Enough said! The Anybodies by N.E. Bode. Another gorgoues cover. It reminds me of James and the Giant Peach. Loved this blurb, too: “Potter-style magic meets Snicket-y irreverence in a saga of a girl swapped at birth.”–People. In my cart it went! My Life Undecided by Jessica Brody. I heard about this book on Kat O’Keefe’s channel and since 52 Reasons to Hate my Father is on my to-read list, I had to give this a go! Plus there’s a pink mouse on the cover. You know my thoughts toward pink. 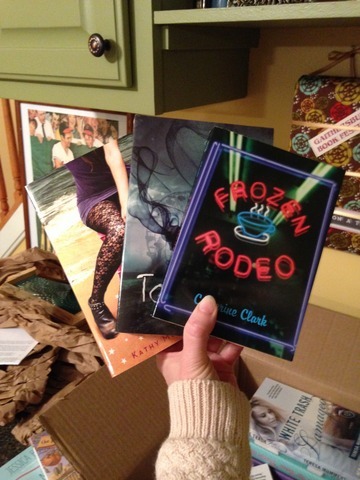 Next up is Frozen Rodeo by Catherine Clark which has a charming description with a Joan Bauer feel. I haven’t read any of Catherine’s books yet, so I’m looking forward to this! Touched by Cyn Balog, another young adult novel with a great cover and cool description. Reviews were mixed on Goodreads, but whatever, not worried, I have the feeling I’ll like it. Don’t Expect Magic by Kathy McCullough. I was happy to see this book because I had started to read it sometime ago … a library copy? Kindle sample? … I can’t remember. But since this is about fairy godmothers and I have a manuscript about godmothers buried in my “can’t figure out” file, this book might give me some inspiration. Looking forward to reading it! Not gonna lie. 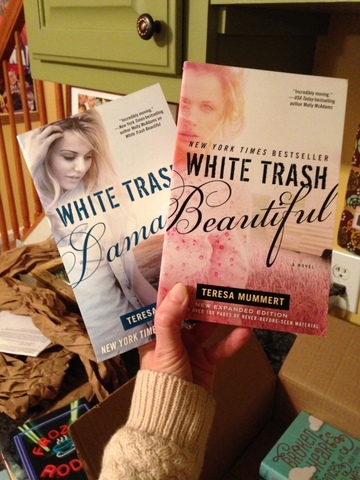 The white trash in the title totally sold me on these books before I even read the description. White Trash Beautiful and White Trash Damaged by Teresa Mummert sound really awesome and while I wouldn’t exactly describe myself as white trash, I am an old farm girl who can relate to feeling as though I’m not capable of great success. 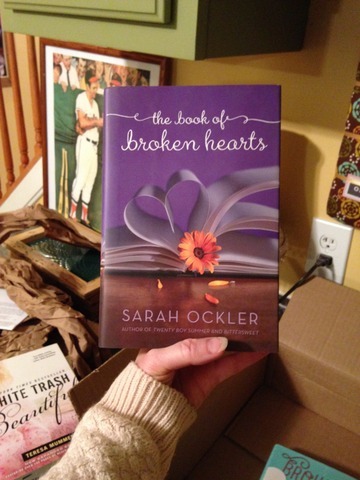 The Book of Broken Hearts by Sarah Ockler. I’ve yet to read a Sarah Ockler book … for shame!!! … so that’s going to change very soon. And look at that cover! I love gerber daisies! And purple! Had to buy it even thought it went over my $2.99 budget at $3.99 but come on, it’s a hardback. Worth it! 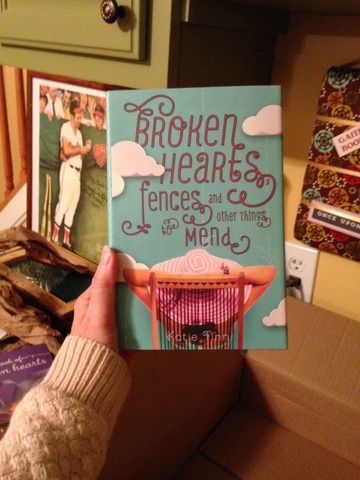 Broken Hearts, Fences, and other things to mend by Katie Finn, another case of put-in-cart-because-of-the-cover. But can you blame me? It’s gorgeous, look at that pink hat! And the book sounds fantastic, too, and at $2.99, a great price for a hardback. All in all, my total price for these lovelies was ONLY $22.20, can’t beat that with a stick! Shipping was $7.99 but what are you gonna do. I’ve also heard that they have great Black Friday sales, so that’s going to be my next Book Day adventure. Thanks for reading! And speaking of reading … I have got quite a lot to do! Previous post: Baltimore Marathon … it’s almost here, hon!